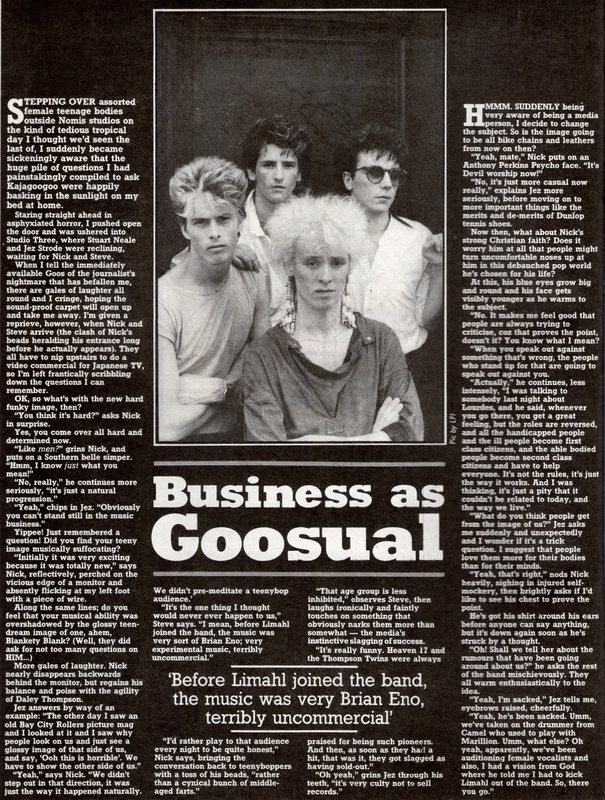 Here we have a two page feature from the Record Mirror from September 1983. It’s a particularly interesting piece with the four piece band, post Limahl. RM was one of those magazines that took pleasure in mocking the likes of Kaja and Duran Duran but didn’t think twice about putting them on the cover knowing that sales would rocket. RM got into trouble with Nick Beggs after they printed a letter reportedly from him. He wasn’t best pleased to say the least and wrote a proper letter making it known that the views expressed had been his own and complaing that the editor should have checked first before printing it.